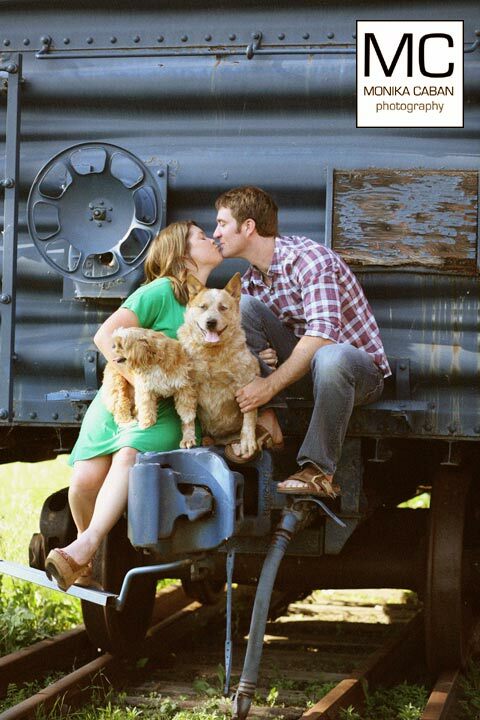 I would like to share a few photos from a recent fun engagement photo session in New Buffalo, which for a change did not involve the beach and sunset, but instead we had trains, dogs and antiques. 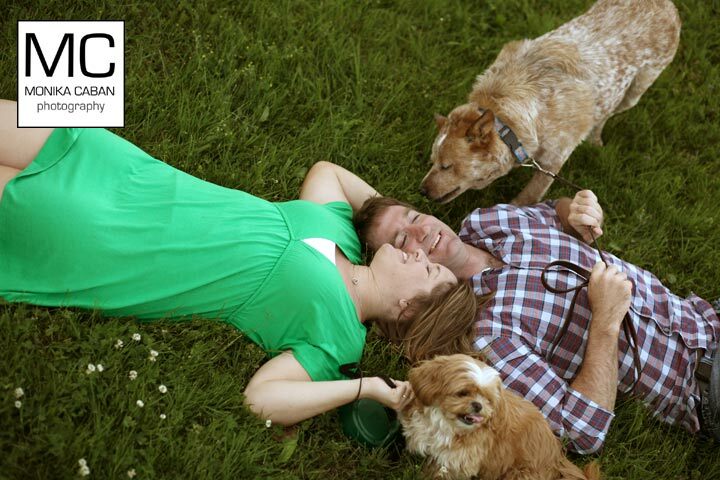 Lindsay and Tim are a cute and fun couple and they wanted to included their dogs in some of the photos. 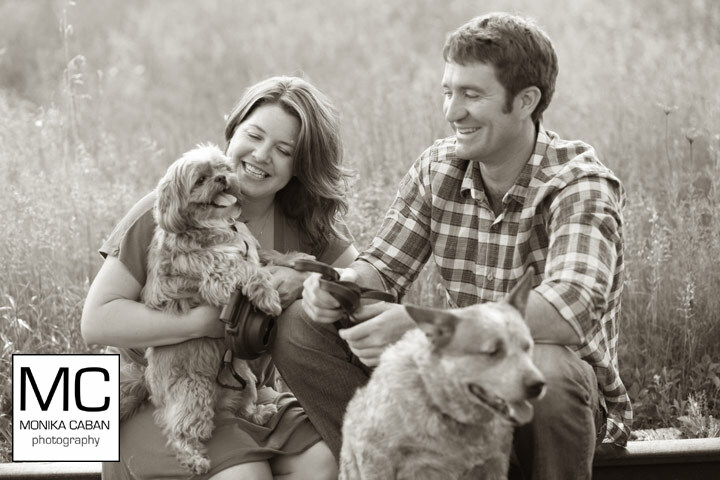 Both of their dogs are well behaved, but they still managed to create some entertaining moments during the photo shoot. 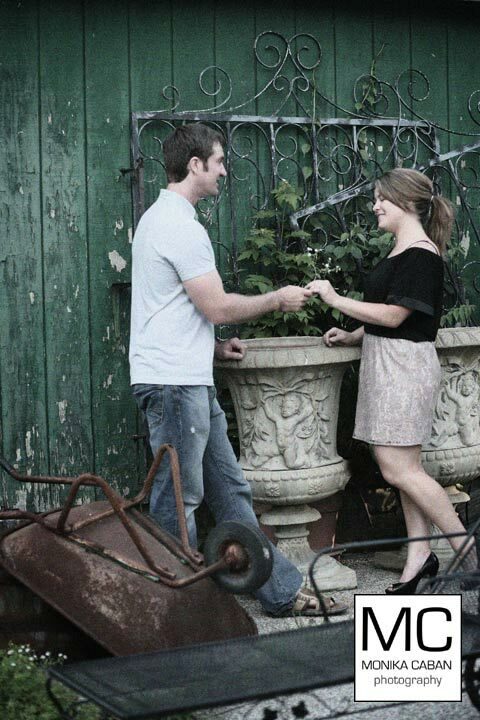 I had fun and believe it was a fun for everybody. 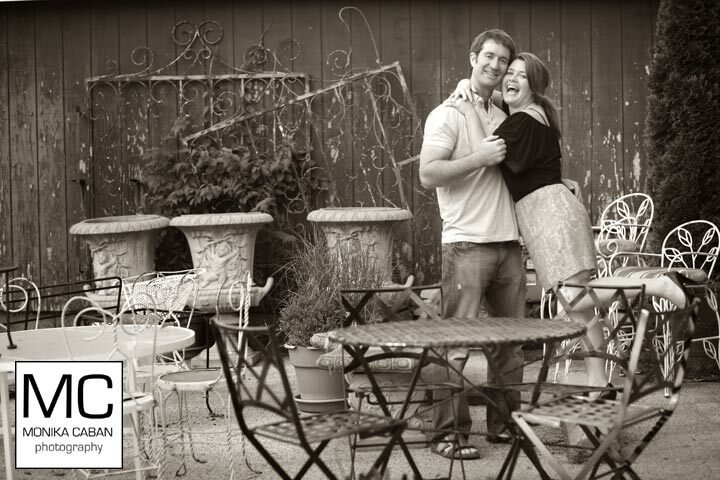 I am sure Lindsay and Tim will have some nice memories from their engagement photo session in Michigan.